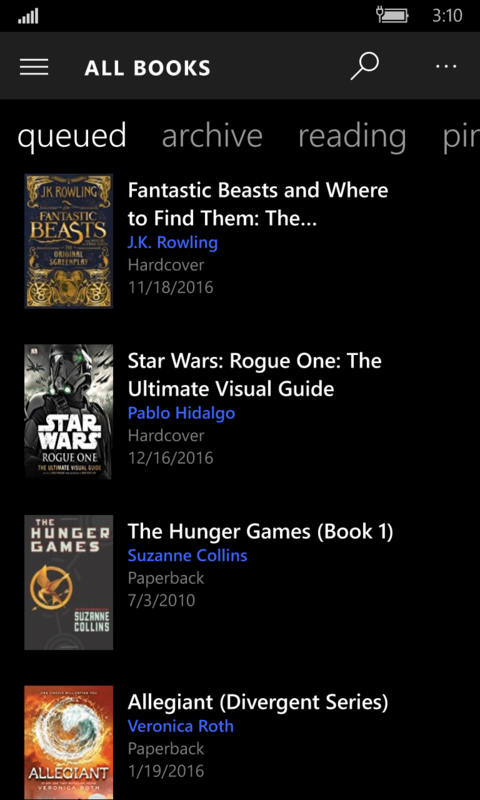 The Bookqueue App lets you create a book list for future reading. You’ve come across a book of interest from the web, co-worker or other source that you want to read, but you are already busy reading another book. Instead of buying the book right away, put it in your queue for later reference and it is available for purchase when you are ready to read it. 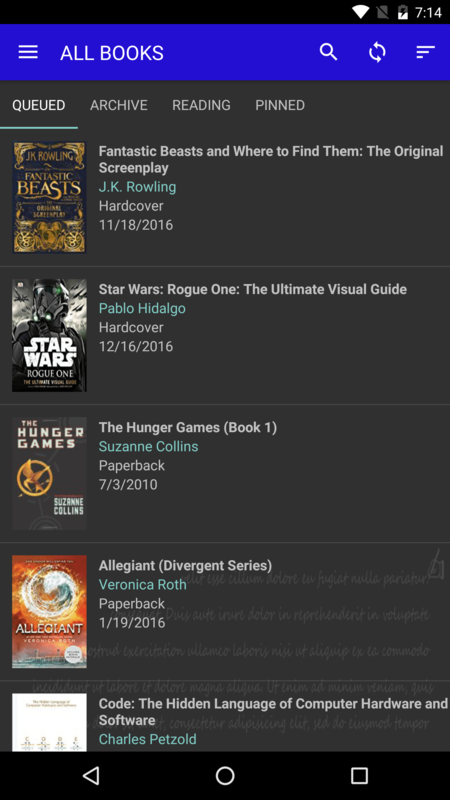 If you are a Bookqueue user, please feel free to contact me with your feedback and feature requests. I love the app… both on the phone and my Surface 2. 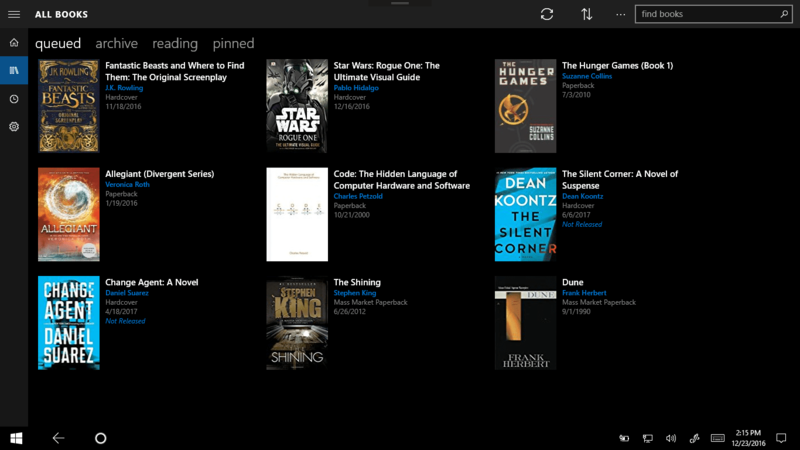 However, the ability to change a book from the que to reading to archive doesn’t work anymore on my Surface. Thanks for reporting the bug, I have found it and will push an update shortly. It should be available within a day or two. Only sees 10 out of 50 books on my GoodRead shelves… in all views combined, no filters. No amount of Synching to GoodRead solves this problem. Problem in both Windows 8.1 and Windows Phone 8.0 version of app. Apologies in the delayed response. The GoodReads integration unfortunately only synchronizes the to-read shelf and not full Goodreads at this time. Will be looking into greater Goodreads shelf support. I have a Surface RT with Windows 8.1 and a laptop running Windows 8.1 Pro with Bookqueue installed on both devices, however it also crashes on start up on both of them. Uninstalling/reinstalling doesn’t make a difference. Hi Stuart, apologies in the delayed response. I unfortunately have a race condition that has had trouble opening the application, I’m looking into the issue and will see if I can get it addressed in the 8.1 version. I love the app both on my phone and Surface. My wife is moving from iPad to Surface. Her iPad app can export books to CSV, but I can’t figure out how to import into Bookqueue. Is that possible? Apologies on the delayed response. 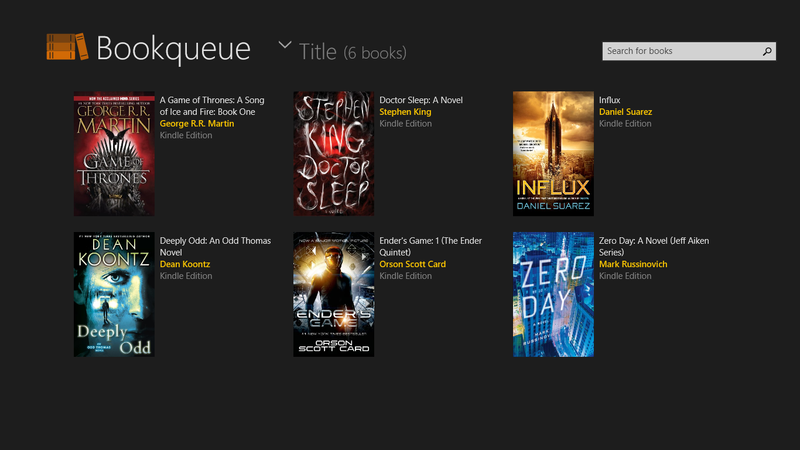 Unfortunately, Bookqueue doesn’t have an import feature at this time but a great suggestion. Will look into adding this in the future. 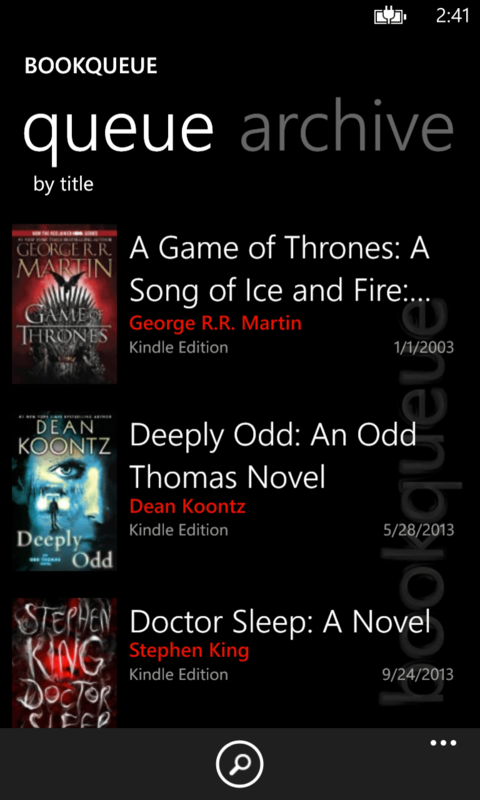 I just started using the app on my Windows phone. Very nice! But it crashes on my PC (8.1). Why? Hi Niels, apologies in the delayed response. I unfortunately have a race condition that has had trouble opening the application, I’m looking into the issue and will see if I can get it addressed in the 8.1 version.